Planning the Ultimate Valentine’s Day Sweetheart Themed Wedding! Valentine’s Day is a celebration of Love! And lends perfectly to planning a lavish, love filled wedding. And it doesn’t necessarily have to take place on Valentines Day, the theme is perfect for a wedding anytime! All though for you Bride’s that do choose Valentine’s Day as the date, be sure to remind your groom that the Wedding Anniversary and Valentine’s are two separate events requiring two separate gifts, LOL! Talk about Red Roses! This is a to die for wedding reception. Truly the ultimate Valentine’s Day extravaganza! And I love that even though the flowers are extravagant, the decor still remains simple. The rose is just simply beautiful and provides the ultimate decor in of itself. On a budget? Try the idea below! For a smaller budget, get bang for your buck with this table set up. You still get the high impact wow factor and the beauty of the roses. And can you imagine how wonderful the table will smell! Truly a night to remember. On a tight budget? Order silk rose petals, still beautiful for a fraction of the cost of real rose petals! A Sweetheart table for a Sweetheart themed wedding, a perfect choice. It’s intimate and chic. It will also allow you and your bride or groom a few moments of privacy during your wedding. And other than the first dance, it may turn out to be the only moments of privacy you get! 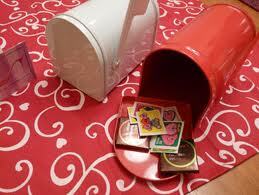 Instead of a guest book a great idea is to have your guests fill out Valentines Day Cards. Create a custom Valentine’s Day Box (à la elementary school with an upscale twist) for your guests to deposit their Valentine’s into. Order custom Valentine’s for your guests to fill out at www.theclassicinvitation.com. 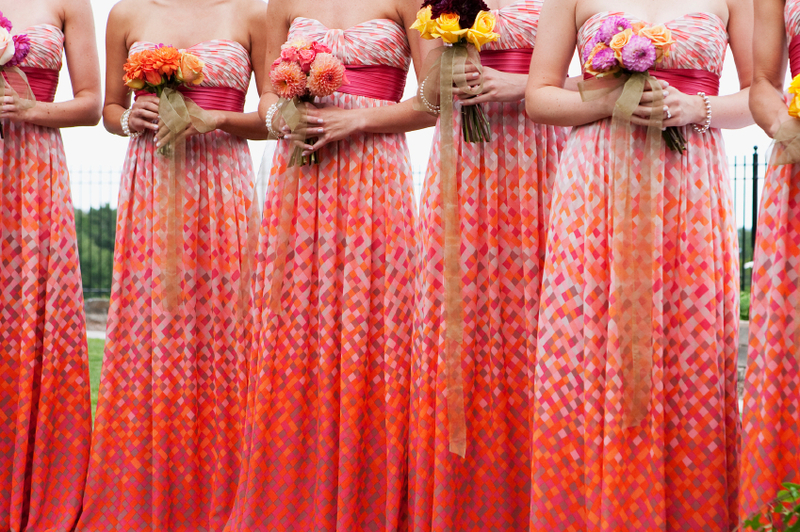 I just love this bridesmaids dress! For those brides having your Valentine’s day wedding in a warm area, what a beautiful dress. Simply stunning and how perfect for a sweetheart wedding! It also coordinates perfectly with this seasons wedding color palate. Definitely my top pick. The perfect floral center pieces to coordinate your Valentine’s Day themed wedding with this seasons gorgeous color palate. And this floral color palate can be achieved to accommodate almost any budget. And the vintage look of the vases is just beautiful. And for a do it your self bride a dollar store replica of the vases will achieve the look without breaking the bank. What Valentine’s Day wedding would be complete with out Valentine’s Day Candy? Create and expensive looking display with out the high cost for you do it yourself brides. And a fun activity for your guests! This entry was posted on Monday, February 14th, 2011 at 1:58 am	and tagged with Sweetheart wedding, Valentine's Day Sweetheart theme wedding, Valentine's Day theme wedding, Valentine's Sweetheart wedding, Valentine's theme wedding, Valentine's wedding and posted in theme wedding, Valentine's Day theme wedding, Wedding, wedding style, weddings. You can follow any responses to this entry through the RSS 2.0 feed.